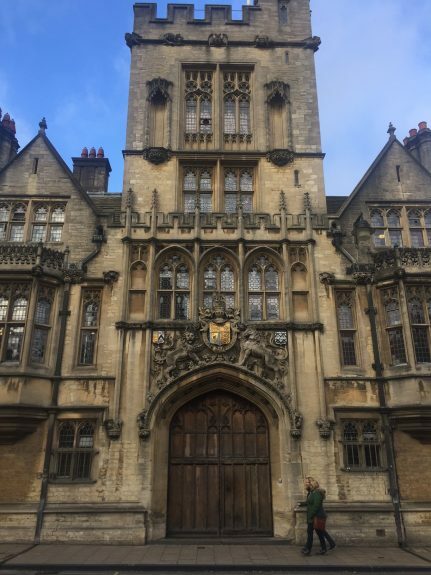 I fell in love with Oxford the first time I went there to visit my mom in 2014. Those summer days I barely stayed at home and when I left, my mom complained that I was more interested in sightseeing than spending time with her. 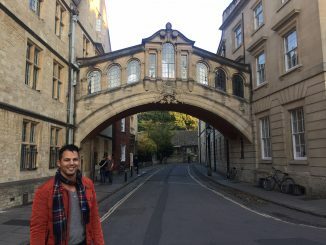 The fact is that Oxford is so beautiful and has such great tourist attractions, that every time I go there, I discover something new and I like this city even more. 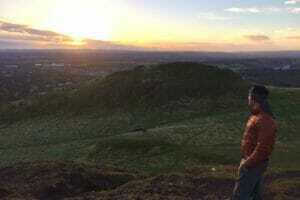 I’m lucky to have relatives in Oxford, which I consider the most beautiful university town in the world. At The Varsity Club with my sister during my last visit to Oxford. 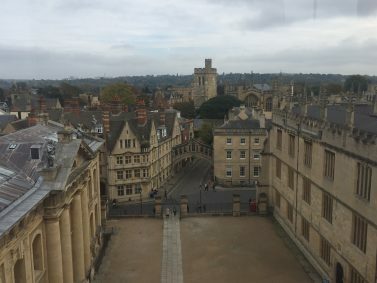 Oxford is just 57 mi (92 Km) from London and only 1h by train, which makes it an optional day-trip when you visit England’s capital. The golden stone city attracts visitors from everywhere because of its stunning colleges. 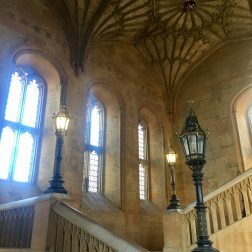 Everyone wants to see the places where 3 kings, 27 British Prime Ministers, over 30 international leaders, and 50 Nobel Prize winners have studied or taught, not to mention where many of the scenes for the Harry Potter films were filmed! Oxford’s city center is very busy and full of students and tourists all year round. Most of the tourist attractions are in the center and are walking distance from each other. 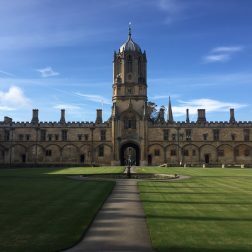 Right in the heart of the city is four of the most popular attractions: Radcliffe Camera, Bodleian Library, Sheldonian Theatre and the Church of St Mary the Virgin. Radcliffe Camera is the earliest round library in England, and was constructed by James Gibbs between 1737 and 1749. Designed in neo-classical style, this is the most distinctive landmark building in Oxford, and undoubtedly my favorite one. 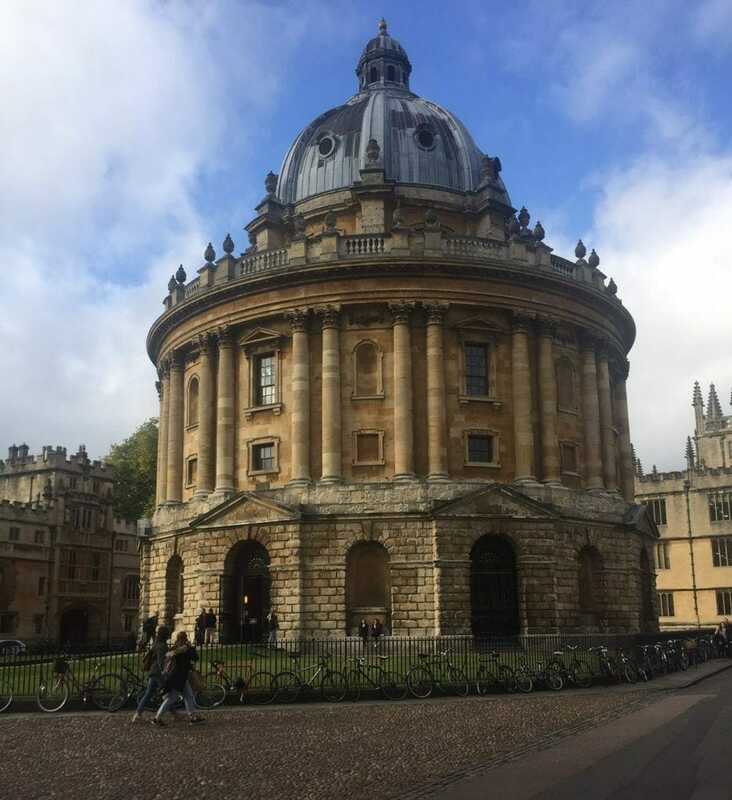 The monumental domed building is part of the University of Oxford’s library and has 600,000 books in rooms beneath Radcliffe Square. Unfortunately the library is open only for students, however you can take a tour to visit the Upper Reading Room. Bodleian Library is one of the oldest libraries in Europe and has been open for over 400 years. 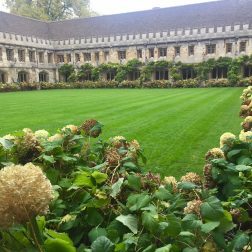 The magnificent quadrangle building was designed to house lectures and examinations, and includes the 15th century Divinity School and Duke Humfrey’s medieval library. The Divinity School, built in the perpendicular gothic style is just breathtaking with its elaborate lierne vaulting and ceiling bosses! 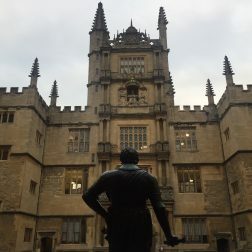 The Divinity School at the Bodleian Library served as Hogwarts infirmary in four films, including the first film after Harry’s clash with Voldemort. It was also used in Harry Potter and the Goblet of Fire. 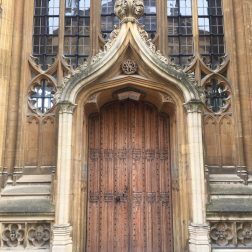 One of the doors to the Divinity School. The Tower of Five Orders. 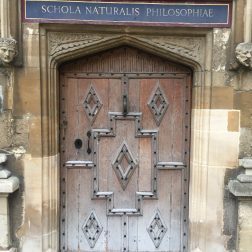 One of the doors to old college. 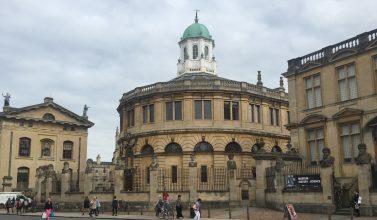 Sheldonian Theatre, designed by the renowned English architect Christopher Wren is the first semi-circular building in England and the official ceremonial hall of the University of Oxford. 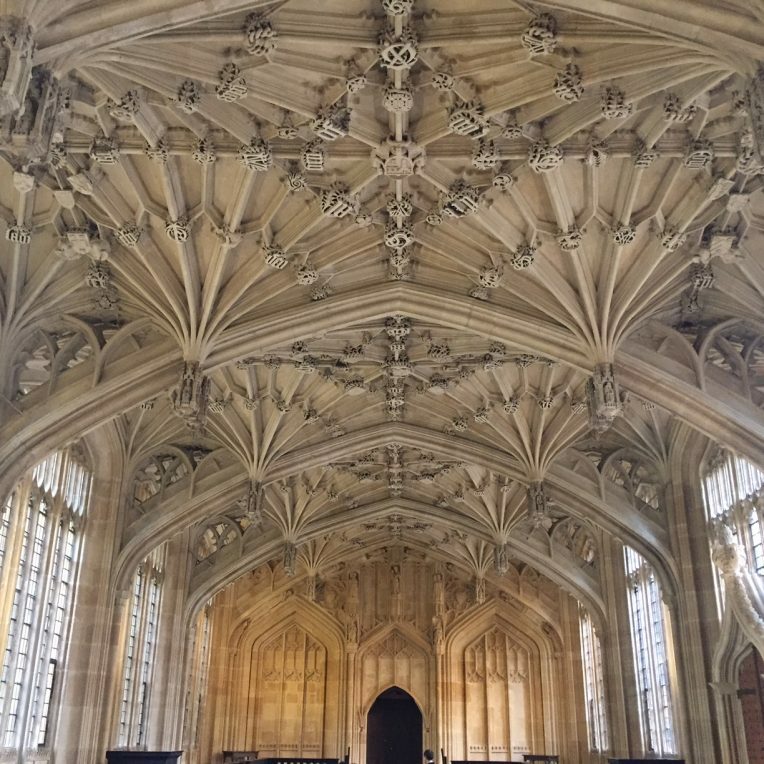 It was built between 1664 and 1669, is open to the public, and visitors can marvel at the wonderful ceiling painted during the reign of King Charles II and enjoy the panoramic view of Oxford from the Cupola. 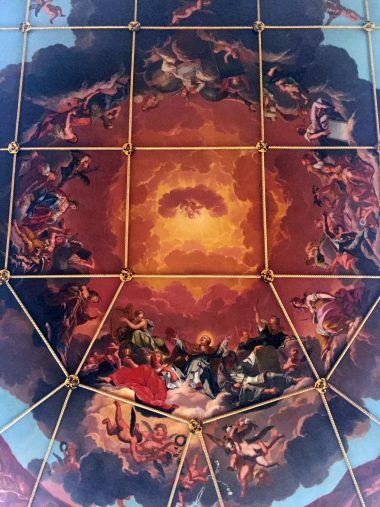 The celling painted by Robert Streart has 32 impressive individual panels. 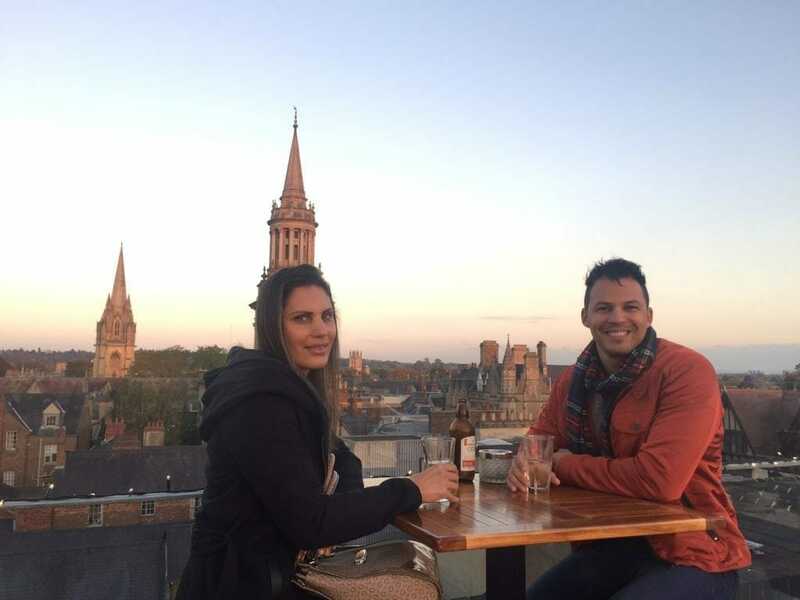 The theatre is nice, but if you want to get the best view of Oxford you have to climb the steps of St Mary the Virgin’s tower. The All Souls College building with its Gothic pinnacles and the Radcliffe Camera compose a spectacular and surreal view. From above Oxford looks even more beautiful! 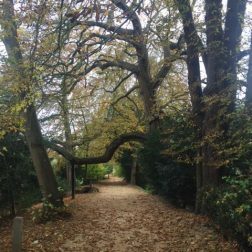 Walking in Oxford’s city center is like being in a fictional world, and it might be the reason that Oxford inspired so many writers, such as: C.S. Lewis (Narnia chronicles), J.R.R. Tolkien (Lord of the Rings) and Lewis Carroll (Alice in Wonderland). The famous Alice’s door at Christ Church. 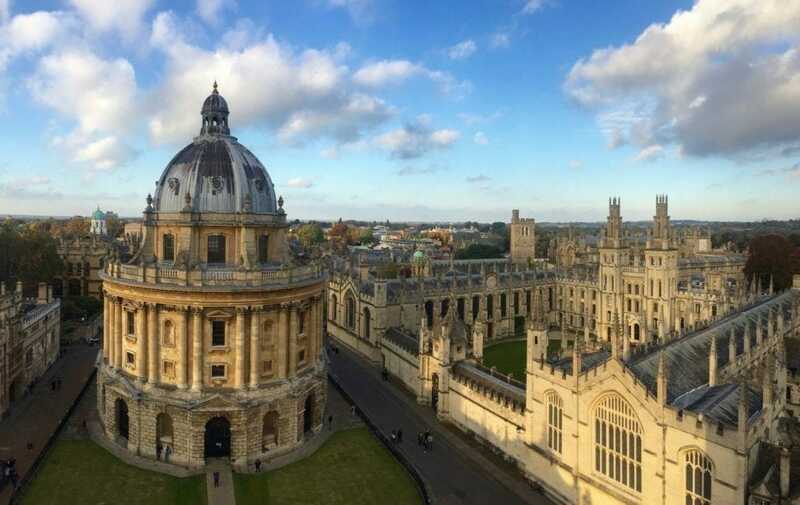 Oxford was officially founded in early 900 AD and the first colleges were established between 1249 and 1264. 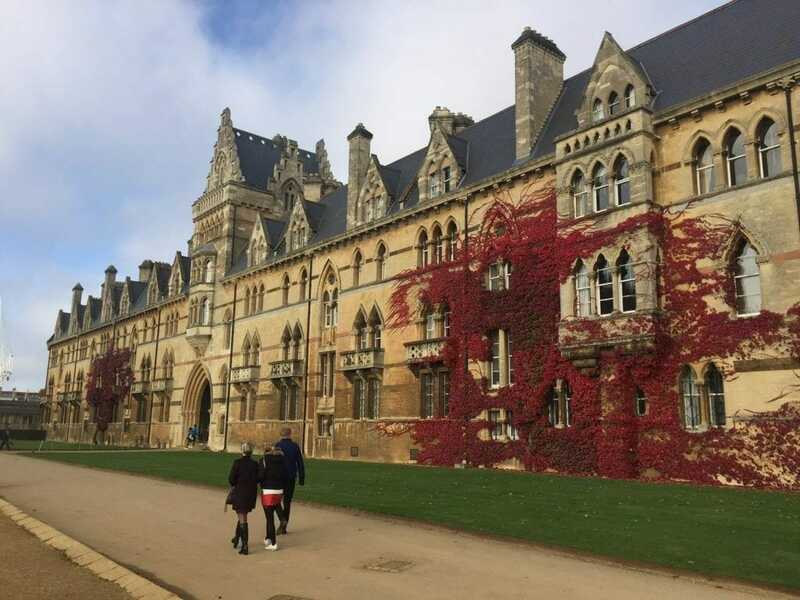 The University of Oxford is home to more than 22,000 students and is formed by 38 colleges. Most of them are open to visitors and seem more like a fairytale school than a real one. 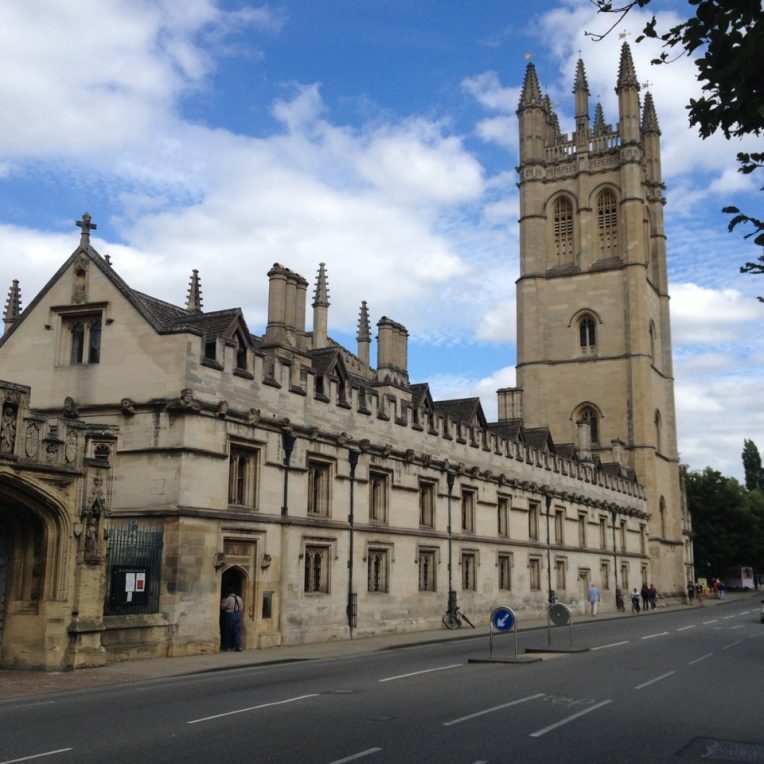 From all the colleges that I visited, my three favorites are: New College, Magdalen College and Christ Church. 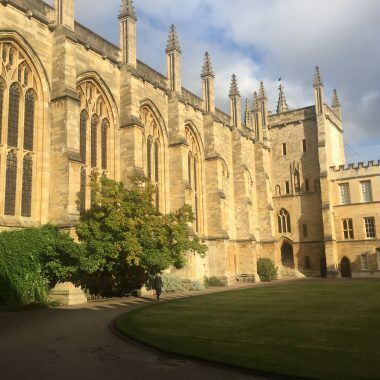 Despite its name, New College was founded in 1379, and is one of the largest and most famous colleges of Oxford. 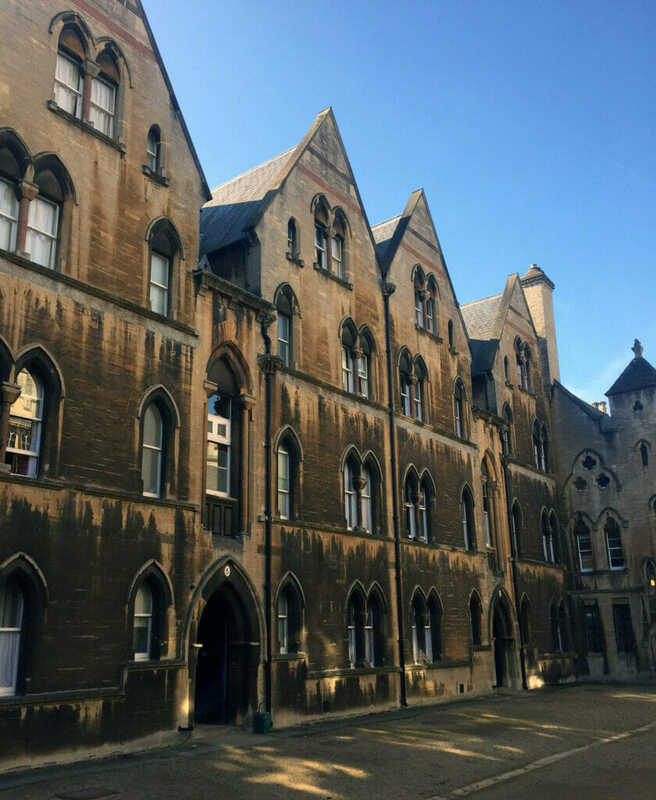 Situated in the heart of the city, and set against the city’s medieval wall, this College was originally established as a monastery and was the first to be designed around a main quadrangle. 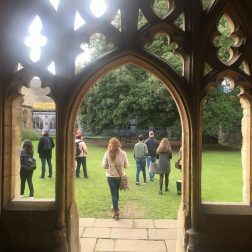 The building has a pleasing cloister, an amazing chapel with medieval stained glass windows and reredos, a charming dining room, and a lovely garden. It’s quite interesting to see the college “protected” by the city wall, and this was what I liked in the New College. The chapel is one of the most beautiful that I saw in Oxford. 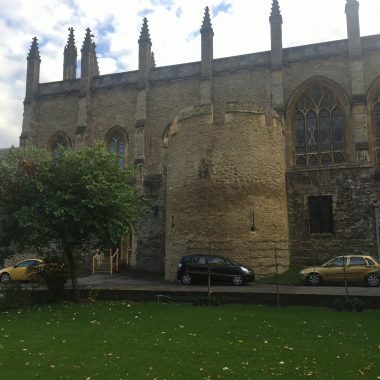 The English Gothic building set against the medieval city wall. The altar and its reredos. The cloister that was used as a location in Harry Potter and the Goblet of Fire. 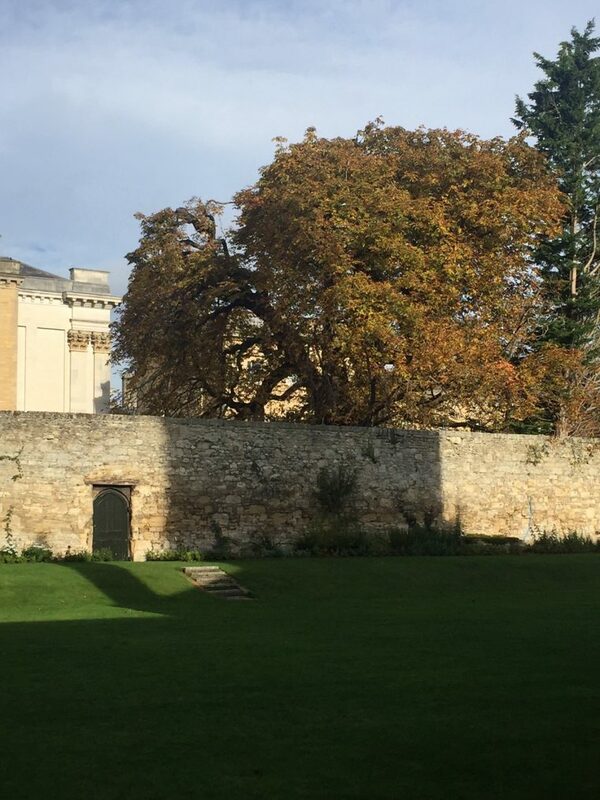 Magdalen College was founded in 1458 and is located in one of the most picturesque sights in Oxford, next to the River Cherwell and Magdalen Bridge. 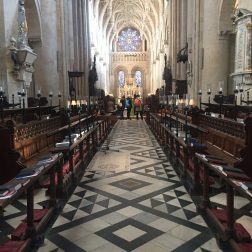 Among the opulent buildings are Magdalen Tower, an imposing Oxford landmark; the Great Quad (the cloister), with beautiful flowers and a medieval character; the Chapel, quite simple compared to the other ones; and the New Building, constructed in 1733. But it wasn’t until I saw the gate to The Grove (Deer Park), that I really appreciated this college. 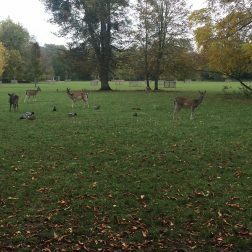 The triangular huge meadow is bound by the River Cherwell and Addison’s Walk, a scenic footpath from the 16th century, which is perfect for a tranquil walk from which to admire The Grove with its large trees and dozens of deer. This was definitely my favorite part of this college. 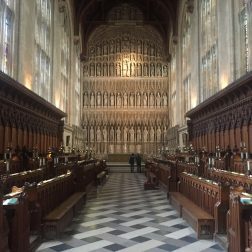 If you are spending only a weekend in Oxford and have to chose one college to visit, Christ Church is a good choice. The sumptuous buildings that look more like a castle will have you in awe from the beginning to the end of your visit. Christ Church visitor’s entrance at the Meadow Building. Christ Church was built on the site of a former monastery and has striking buildings from every century since it was founded in 1546. It has a number of architecturally significant buildings, including my favourite one, the Meadow Building, built in 1863 in the Venetian style. ; There’s also Tom Quad (The Great Quadrangle), amazing and very picturesque on sunny days; Christ Church Cathedral and its breathtaking nave with vivid windows, memorials and a remarkable stone vault ceiling designed to create an image of heaven; The Staircase, with its majestic vaulted ceiling; and The Hall, the famous dining hall that was the inspiration of Hogwarts’ Great Hall in the Harry Potter series. I felt like I was in a Harry Potter movie, not only visiting the Hall, but during the whole time I was there. Christ Church is a truly fairytale school! If you have time and want to visit more colleges, I would also recommend Trinity College and The Queen’s College. 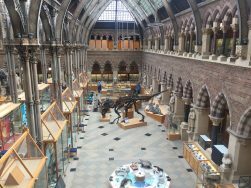 Besides its colleges, Oxford has also good museums. 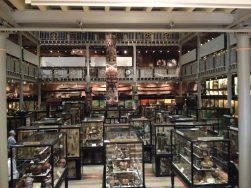 The most famous one is the Pitt Rivers, a global museum that displays archeological and ethnographic objects from all over the world. 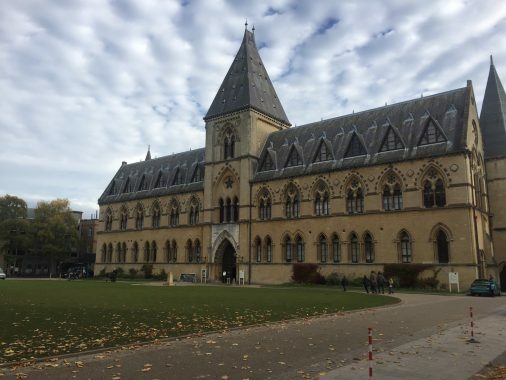 You can expect to see everything in the Pitt Rivers Museum, from Japanese Noh masks, to a totem pole from Canada, and manuscripts from different parts of the world. Another popular museum is the Natural History Museum, which is housed in a stunning Neo-Gothic building and holds a significant collection of geological and zoological specimens. This is the best museum for kids, and I particularly like the building itself, especially the interior, maybe even more than the collection. 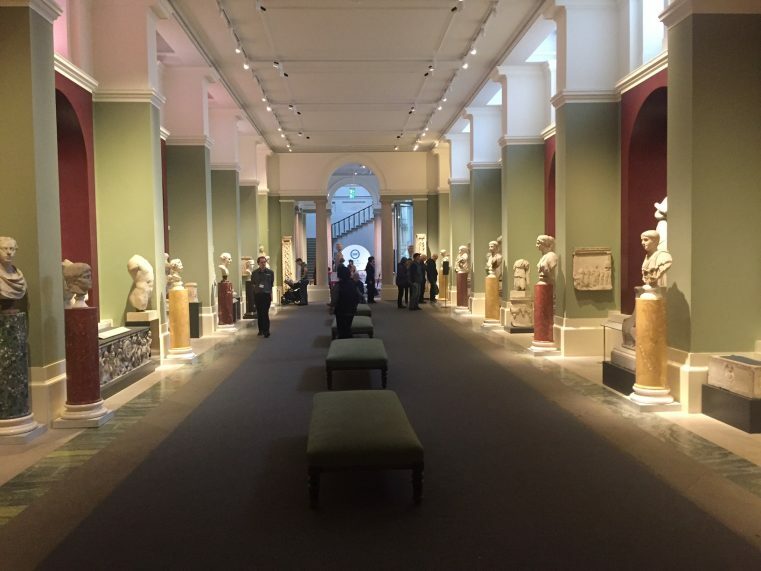 However, my favorite is the Ashmolean Museum, the world’s first university museum, with an incredible collection ranging from Egyptian mummies to contemporary art. In case of rain, visiting these museums is a great option, and admissions are free. 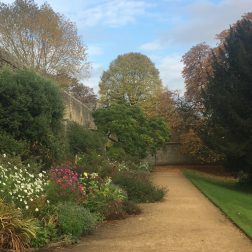 Oxford is situated on the edge of one of the most unique and beautiful regions in England, and has many lovely green spaces. The rivers Cherwell and Thames run through the city and meet south of the city center. 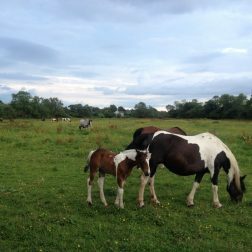 Right by the Thames’ banks there is a towpath that is part of the Thames Path National Trail, which is surrounded by huge meadows and beautiful parks. 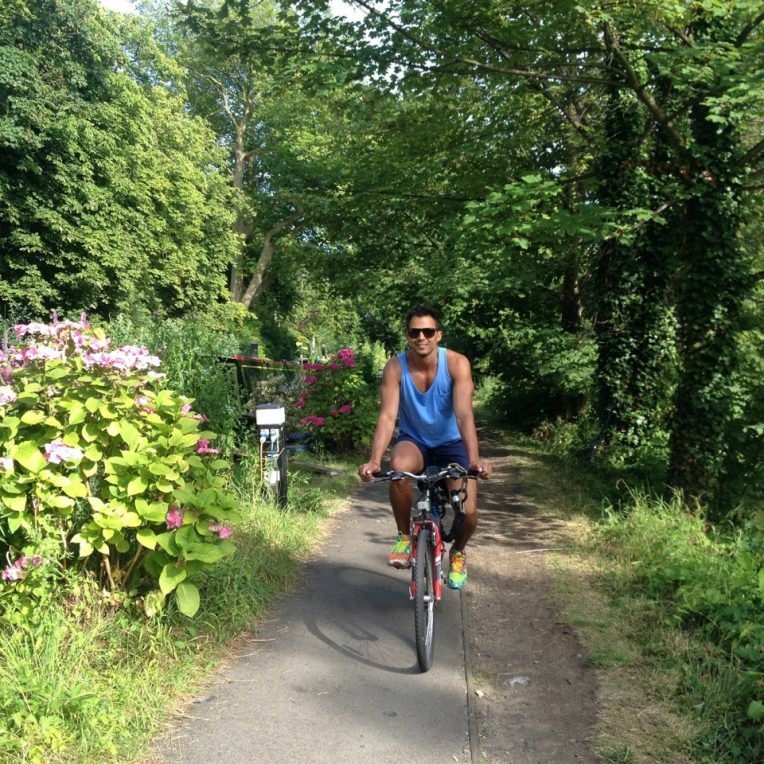 This is my favorite part of the city and I love walking, but especially biking, on the Thames riverbanks. 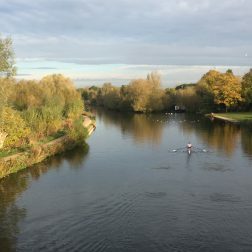 The most famous stretch of river in Oxford is between Folly Bridge and Iffley Lock, where the college boathouses are and the two annual regattas happen. Strolling along the Thames you see rowers training, lush vegetation, an assortment of flowers, wildlife (deer, horses, cows, birds, ducks, rabbits, peacocks and swans), and the most beautiful sunset in Oxford. Walking on the riverbanks or even hiring a traditional punt is an opportunity to enjoy the stunning river environment, and yet reaffirm that Oxford is the most beautiful university town in the world. My favorite thing to do in Oxford. 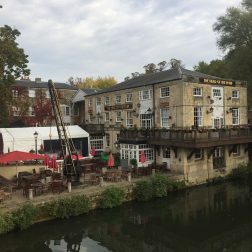 A pub by the river. I don’t believe my mom could have picked a more gorgeous city to live in. Thanks mom! Oxford is a city in the South East region of England and the county town of Oxfordshire (Map here). ∗ There are five airports close to Oxford: London Heathrow, Gatwick, Luton, Stagnated and Birmingham. Heathrow is the closest international airport to Oxford. London Heathrow International Airport, and Gatwick Airport are linked to Oxford by The Airline coach company, which operate 24 hours a day, seven days a week. Stansted Airport is linked to Oxford by the National Express 757, which runs approximately every two hours. ∗ There are trains departing from London Paddington every half hour, costing around £27 (round trip), and taking approximately one hour. You can check the train schedule at the National Rail website. • The cheapest option is by bus, and the Oxford Tube and X90 are the companies in operation. Tickets cost £20 (round trip). Cheaper if you come back at the same day. 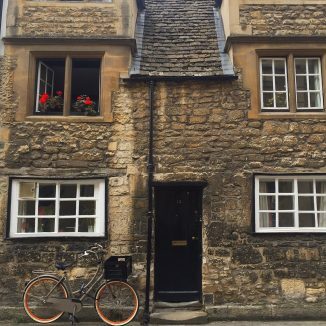 Oxford is a year-round destination but is marjory visited during the summer. April and May there is a great number of festivals, and from June to September as well. 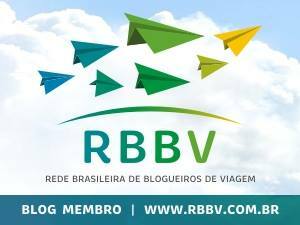 If you book your hotel using any of my links, I get a small commission to keep traveling and writing. 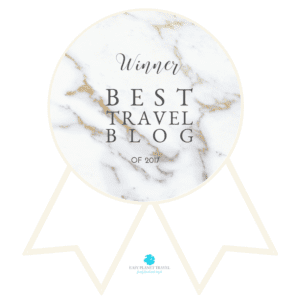 No extra costs for you plus the best rates are guaranteed with Booking.com.